Get the benefits of Avigilon high-definition surveillance while leveraging existing surveillance systems in the most cost-effective way possible. 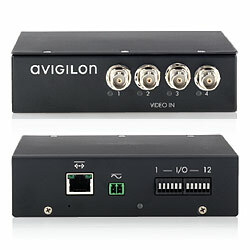 Avigilon analogue video encoders allow you to integrate your existing NTSC or PAL analogue cameras into an Avigilon high-definition surveillance system. 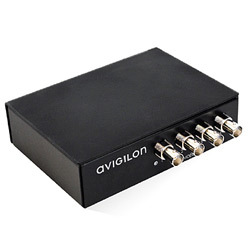 Avigilon analogue video encoders minimise bandwidth and storage requirements while capturing high-quality surveillance footage (in full resolution of up to 30 images per second per analogue camera) for greater coverage and enhanced overall protection. 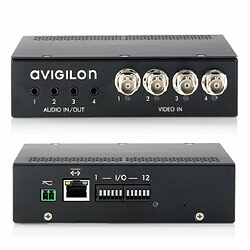 Using standard network equipment, the analogue video encoder seamlessly integrates with Avigilon Control Center and NVRs to create a network-based surveillance solution with unmatched performance, ease of use, and ease of installation. Plus, they support either JPEG2000 or H.264 compression for added flexibility. They also feature 3D motion-adaptive de-interlacing for sharper, more accurate video.